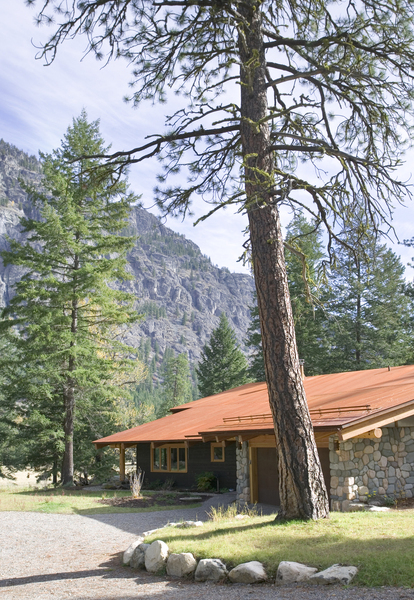 Located in a dramatic setting, this home is comprised of three separate buildings - the main cabin, a garage and a bunkhouse. 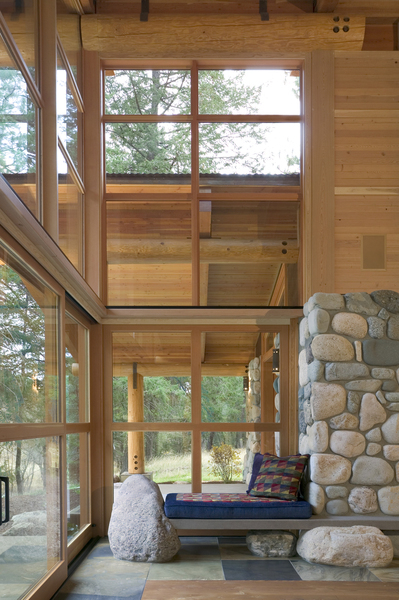 Creating privacy and retaining panoramic views were of utmost importance to the clients. 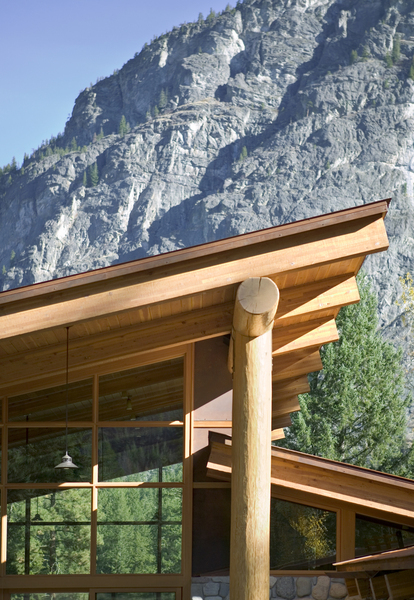 A large shed roof connects all the forms together, integrating them into one structure. 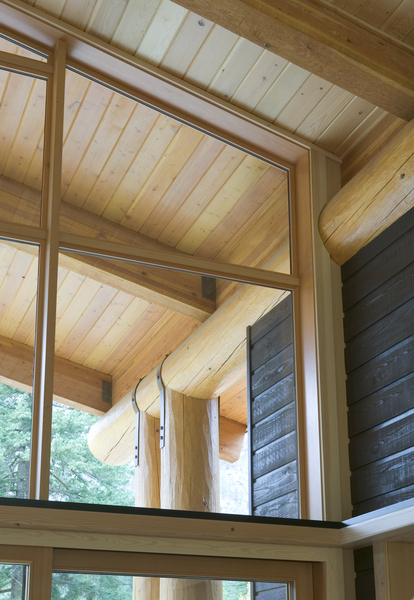 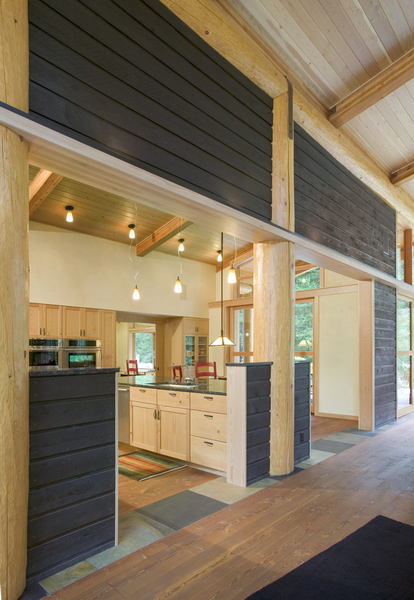 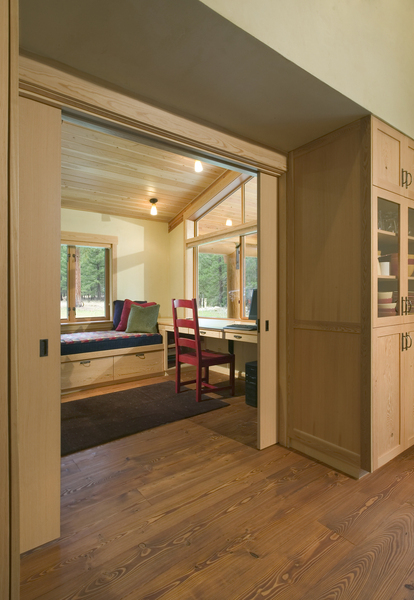 The connection between the cabin and the house is enclosed, forming a mudroom hallway and utility closet. 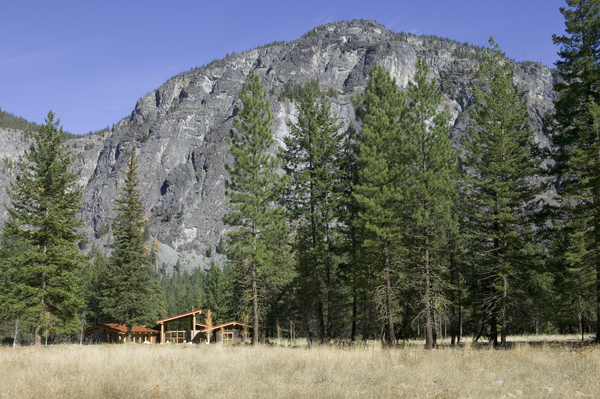 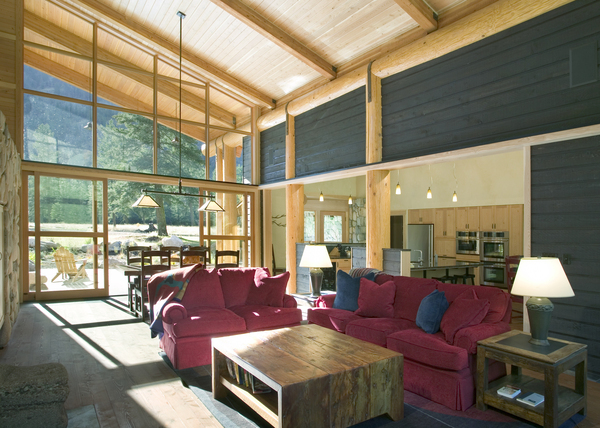 The cabin and the bunkhouse are joined by an open, covered breezeway to provide more privacy for the master suite, which is adjacent to the bunkhouse. 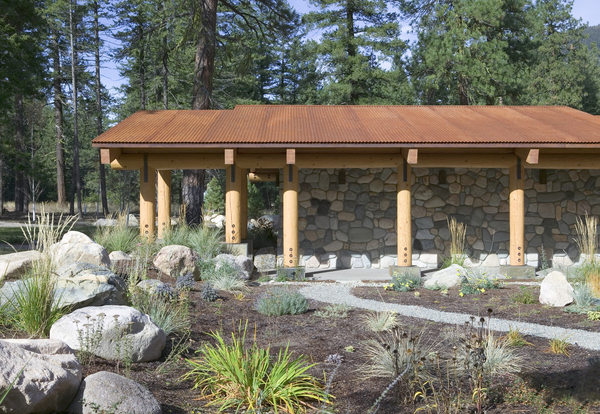 The building form is arranged in a U shape creating a southern facing central courtyard with a small water feature. 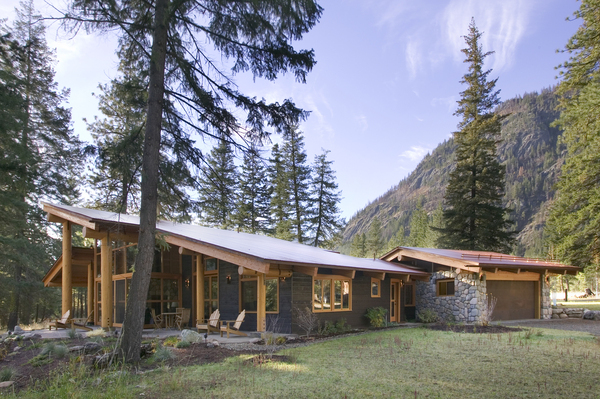 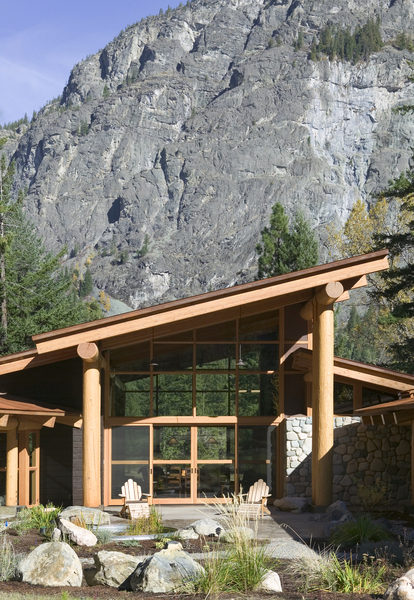 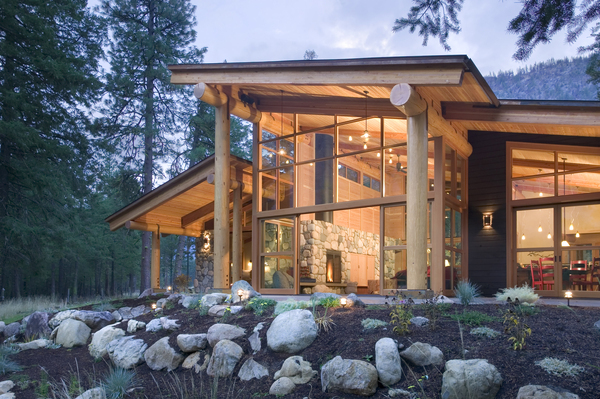 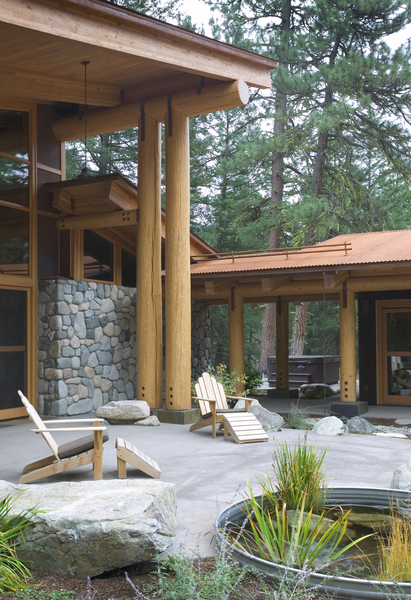 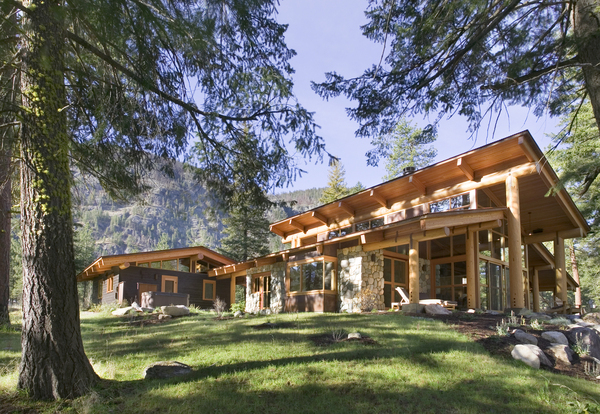 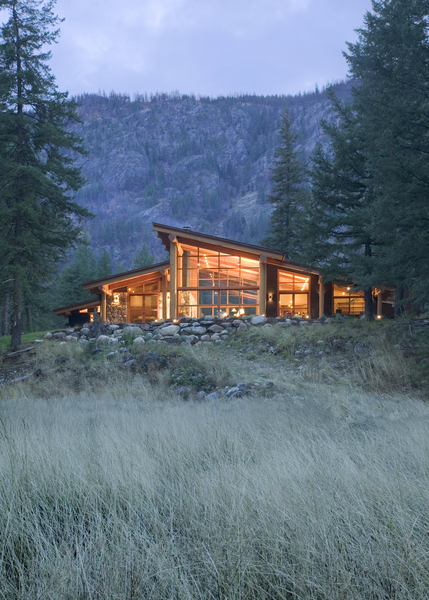 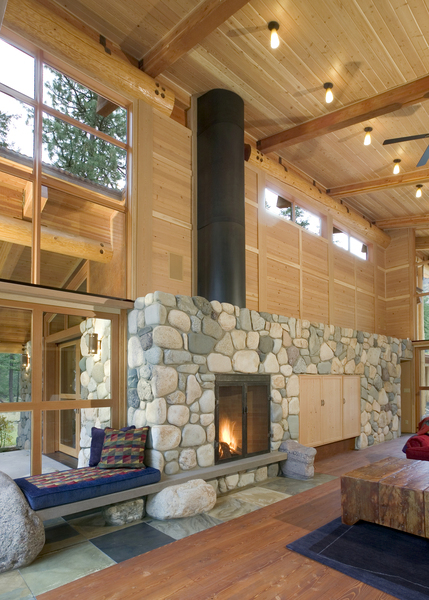 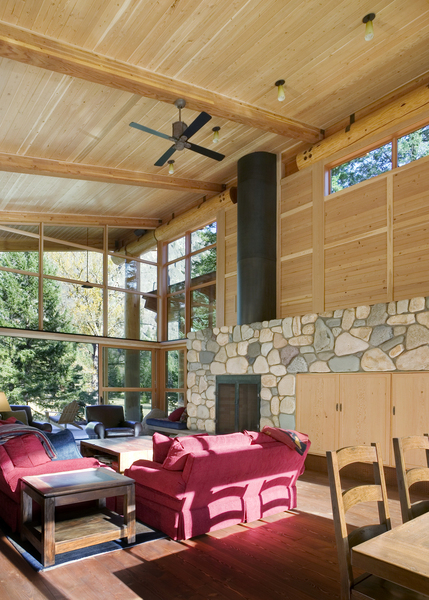 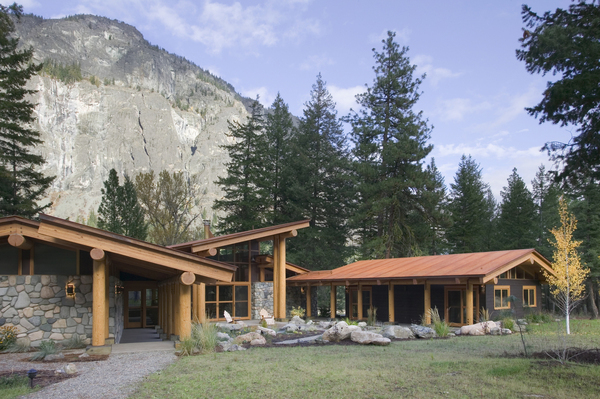 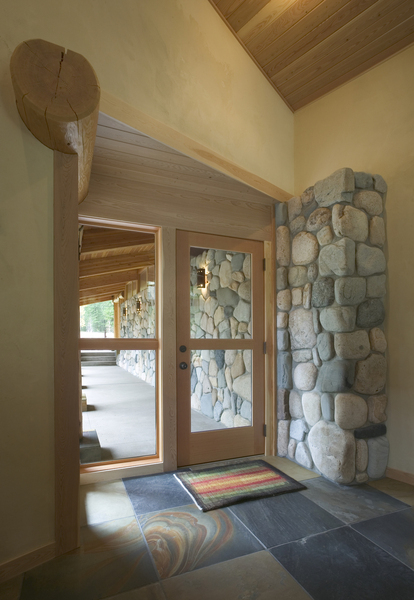 Mountain Living Magazine, July/August 2006 "Canyon House: Big Windows and Natural Materials Help Blur the Distinction between Indoors and Out"